Hi, I’m Capt. Dan Ryder. 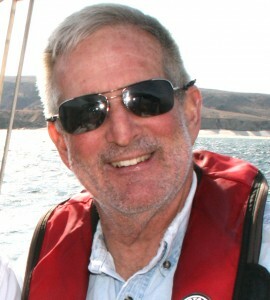 I’m a licensed U.S. Coast Guard Captain with more than 40 years of sailing experience. I’ve sailed the East Coast, the West Coast, the Caribbean, the Mediterranean as well as numerous lakes in the Midwest. 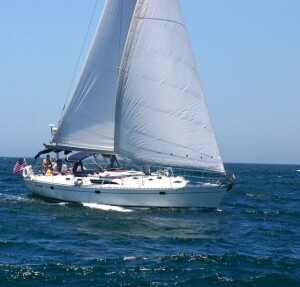 I’ve spent the last 20 years sailing the Pacific coast and have been sailing Southern California’s Santa Barbara Channel and the nearby Channel Islands for the last 10 years. I’ve skippered a wide range of vessels through the years, from a 14′ Hobie Cat on the Atlantic to serving as Underway Command Duty Officer on U.S.S. 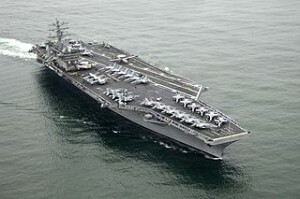 Nimitz, operating in waters from the Persian Gulf to the North Sea and North Atlantic. I am a bit nostalgic for my flying days, but the transition from 500 knots to 5 knots actually wasn’t all that hard. I’ve sailed many of the world’s greatest cruising grounds, but if I had to choose one spot to spend the rest of my sailing days, it would be right here in the Santa Barbara Channel. We sail every month of the year and never have to venture forth in rotten weather to keep up that record. Of course, if you want challenging conditions, we can find those, too. It’s only a matter of sailing out of the California Bight to the “other side” of the islands. But unless you go looking for foul weather, I disagree with those who say if you can sail here, you can sail anywhere. That’s just not true. The conditions are almost always benign: It’s rarely very cold – we hardly see anything colder than 50F even in winter, not hot and the wind is usually in the 10-20 knot range in the afternoon. Perfect conditions for us and the Sailing Yacht Sancerre. But we are well off the track beaten by tourists. Our cruises are fun and far from arduous, one patron described it as “soft adventure.” I guess the soft part depends on how much you want to sail the boat yourself, how far you want to paddle and how big a chunk of the Nature Conservancy land you want to hike. The best part of cruising these parts is gunkholing, slipping into secluded anchorages, making a fabulous dinner and enjoying the sunset and star show that we get so many evenings. Once we’re settled in, we generally agree that THIS (wherever we happen to be) is our favorite anchorage. We spend many nights, particularly windy ones in Smugglers and we love to nestle into Fry’s Anchorage when we’re on the north shore. On the south shore it’s hard to beat Willows and Coches Prietas. We head to San Miguel at least once a year. 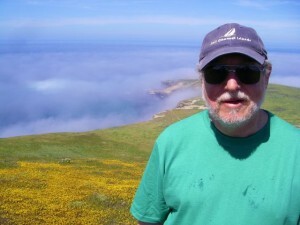 One of our most adventurous trips – one we do every year in September – is to Cuyler Harbor on San Miguel Island. 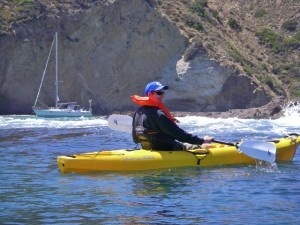 We generally circumnavigate San Miguel on these trips and are treated to sights of beaches jammed with elephant seals, sealions or harbor seals. None of these Pinnipeds seem to like to associate with one another but segregate themselves into enclaves on adjacent beaches. And we visit them all. teem with baby sealions that think our kayaks are toys, and we frequently are escorted by 50 of these gregarious babies as we cruise the inlets. You don’t have to know anything about sailing to cruise with us. You can do as much or as little boat handling as you like. And if you want to learn as you cruise, well teaching – after gunkholing – is my favorite thing. If you’ve got questions, just give me a call at 805.750.7828 or e-mail me Questions for the Captain.